Dr. Russell graduated from San Diego State University in 1978 with a bachelor’s degree in psychology and a minor in biology. He graduated from Southern California University of Health Sciences, Los Angeles College of Chiropractic in 1982. 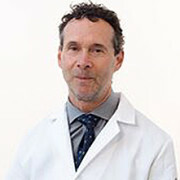 Until 2011 he practiced in a multi-specialty clinic in Long Beach before joining the faculty of Southern California University of Health Sciences (SCU) in 2012. He has held several leadership positions in the chiropractic profession, including Chairman of the Chiropractic Section of Pacific Hospital of Long Beach. He has held several posts with the California Chiropractic Association, serving on the board of directors and also as Vice President of Internal Affairs. For ten years he served as the Exam Commissioner and Expert Consultant for the California Board of Chiropractic Examiners and served 15 years as an Examiner for the National Board of Chiropractic Examiners. Dr. Russell has published several articles in chiropractic magazines and journals, and made presentations before chiropractic and medical conferences. He has also presented numerous talks before workers in various job settings on the topic of injury prevention. Dr. Russell has served on the Board of Directors of the Long Beach Symphony Association and is an active member of the Long Beach Chapter of the Surfrider Foundation.